DVB-S/S2 INTELLIGENT REDUNDANCY SWITCH The VB273 Intelligent Redundancy Switch provides full dual path redundancy for satellite signals with autonomous operation and deep signal analysis on both signal paths for the ultimate switching decision making. 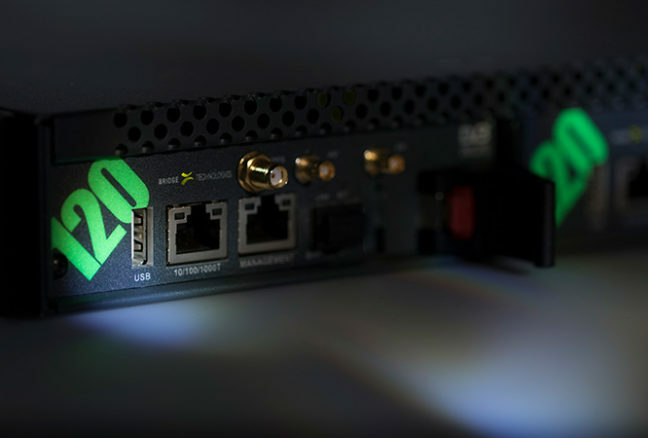 The solution is ideal for providing fast and robust redundancy switching for permanently installed satellite up-links or in outside broadcast systems. Front panel controls with illuminated buttons offer local override control and a clear visual indication of the active switching path. The redundancy switch offers three distinct modes of operation - automatic, manual and superlocal - making it suitable for any real-life operational challenges. The VB273 has multiple layers of redundancy. The 1RU chassis offers dual redundant power supplies and the VB273 switching card has magnetically latching relays to protect against signal disruption, even during a complete loss of power. 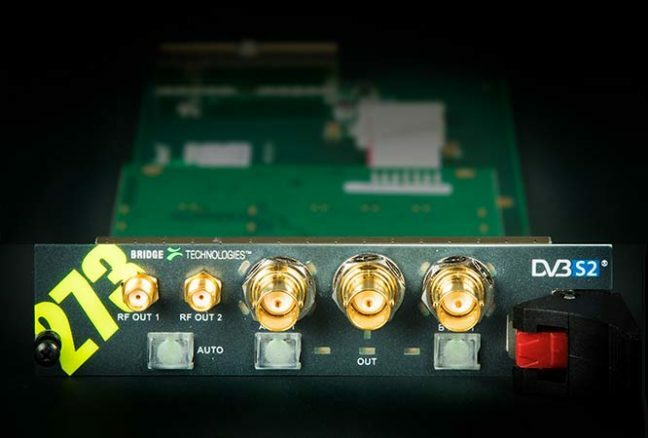 The VB273 switch module actively taps off a small portion of the input signal from both inputs, converts it to L-band if required, amplifies it and then feeds it to the neighbouring VB272 DVB-S/S2 input module via two factory-fitted loop cables. This allows monitoring and analysis to take place on both inputs simultaneously. If any problem in any parameter is detected, pre-set rules apply and the unit will check the opposite input for the same failure and perform a switch if no failure is detected. To avoid switch flapping, a minimum switchback time can optionally be configured. All the parameters in the implementation of the TS 101 290 specification can be utilised as switching criteria. In automatic mode, the VB273 system is fully independent and makes its own switching decisions based on the pre-set switching rules. In manual mode, the unit can be controlled from any overlying NMS system via the extensive XML-based Eii (External Integration Interface) or via SNMP triggers. The VB273 also features a unique superlocal mode feature to deliberately cut off overlying NMS control for emergency manual override situations via the front button panel. All parameters can be controlled via the built-in web GUI. The web GUI also gives a visual overview of parameters used in switch decisions and system status. The VB120 blade offers a bonus ASI input port with TS 101 290 analysis support that can be used for ad-hoc monitoring in addition to the two main ASI input ports used on the VB242 blade, should the need arise. The hardware is custom designed and built to telco-grade standards for maximum reliability and minimum maintenance. The complete redundancy solution consumes less than 25W of power. This substantially reduces power consumption and air conditioning needs in installations. 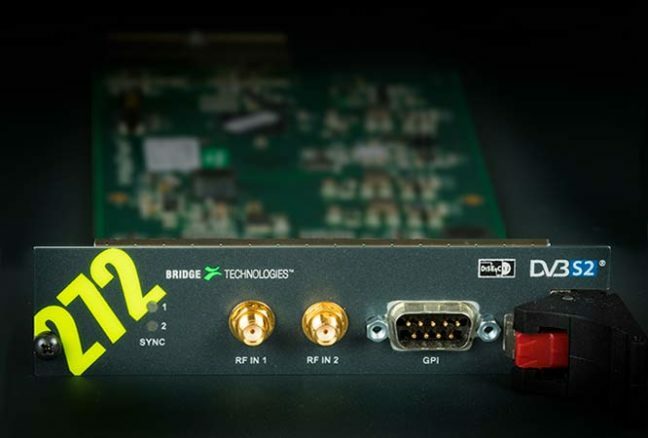 A complete configuration with a fully licensed VB120 and two VB272 interface cards provides real-time monitoring and alarming for up to four DVB-S/S2 RF inputs, 10 IP MPTS/SPTS multicasts (upgradable to 50 streams) and one ASI TS input and output. Full ETSI TR 101 290 analysis is performed on all DVB-S/S2 inputs, the ASI input and the IP input in parallel. If the VB220 PROBE is used as master card the IP monitoring capacity is increased to impressive 260 MPTS/SPTS multicasts. The VB272 DVB-S/S2 card is delivered with one input and the second input can be enabled by a simple license upgrade.